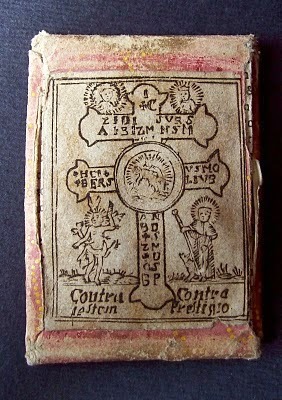 Paper Amulets Reconcile Christianity and Superstition? 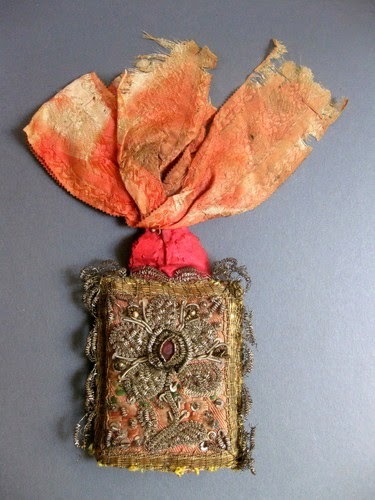 This thesis will be the first English-language investigation of sixteenth century paper amulets in Germany, Austria, and Italy; specifically, paper amulets such as Breverl, Esszettel, Chartulas, and Cantigas that were either worn against the body or ingested. I have decided not to include other types of amulets, talismans, or spiritual keepsakes such as pilgrim’s badges or Wettersegen, for example, because such a broad sample would quickly overstep the bounds of an eight-thousand word essay. – They were inexpensive and could be made at home, purchased on pilgrimage, or given as gifts (St. Francis was fond of creating folded paper amulets with holy texts and images and giving them as gifts). Their humble and inexpensive manufacture made them a wildly ubiquitous and democratic instrument of pacification. Monasteries and convents crafted amulets for visiting pilgrims. – The amulets’ handwritten or printed images and text were worn against the body—or taken into the body—as medicine. 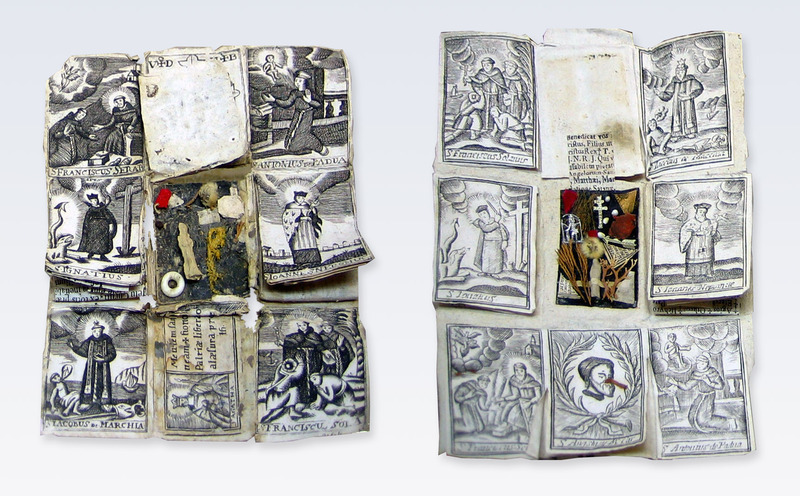 Paper amulets became hosts that dissolved prayer, magic, and the word of God into the body. – They were portable; small, flexible, lightweight, and easy to roll up and stitch into the undersides of clothes, or place on the underside of the tongue. They were always with a person— prayers, cures, and protection were only a few inches away. They were hidden. The secret nature of paper amulets might have something to do with their ubiquity. Readily available. Portable. Easy to hide. A fusion of words and images that were believed to be equally efficacious outside or inside the body. These qualities gave the Laity enormous power over their spiritual lives and allowed them a direct line to heaven. altars they were unwrapping God. A few of the paper amulets are straight-forward, such as Esszettel—scrolls decorated with sacred symbols and texts, rolled into pills, and swallowed. The Breverl, on the other hand, is a highly specialized compound amulet that needs to be dissembled into its component parts—its visual vocabulary—then studied as a whole. 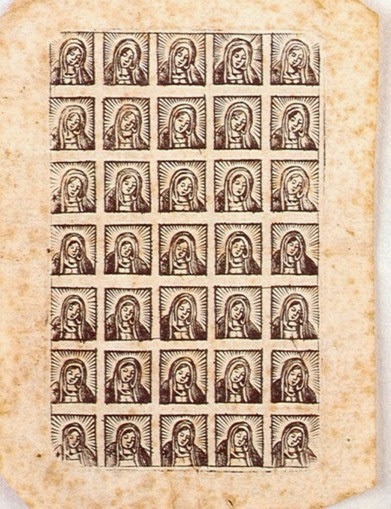 Breverl are miniature devotional notes of sorts, two by three square inches, their few pages printed with highly symbolic and sometimes complex iconographic Catholic images bearing copious German and Latin inscriptions. These pages fold outward to reveal a central, hidden surface adorned with a collection of relics, seeds, metal crosses, and other charged objects believed to avert evil, the plague, bad weather, demons, and bad luck. intimate artefact or hagiographic book, but also a reliquary. 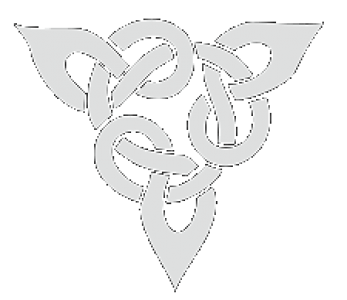 Breverl Scholarship, for example, is limited to thirty pages of research comprised of five generalized essays and one chapter in a comprehensive encyclopedia of Germanic talismans. The text, Als die Dinge Heilig Waren (When Things Were Holy) by Dr. Christoph Kürzeder, Director of the Diözesanmuseum Freising, is parsimonious in its discussion of the Breverl. Despite its brevity, Kürzeder’s work is helpful in that it advances the possibility of an antecedent to the Breverl in Capuchin Fransican literature. Because his book, and the five Breverl essays, focus solely on the spiritual significance of the Breverl, however, little attention is given to the amulet as aesthetic production, cultural lens, or folk narrative device. The Breverl was common from the 16th century through to the early twentieth century; despite its longevity and significance, existing scholarship approaches the Breverl with surprisingly minimal interdisciplinary or contextual analysis. This paper aims to explore primary source materials (letters, books, court documents) that rallied both for and against paper amulets in sixteenth century Europe. This will give an idea of the culture in which the paper amulet flourished; the world of Reformation, Protestantism, the Black Death, a world which saw rising literacy in the Laity and differing levels of adherence to Protestantism in the country and city. 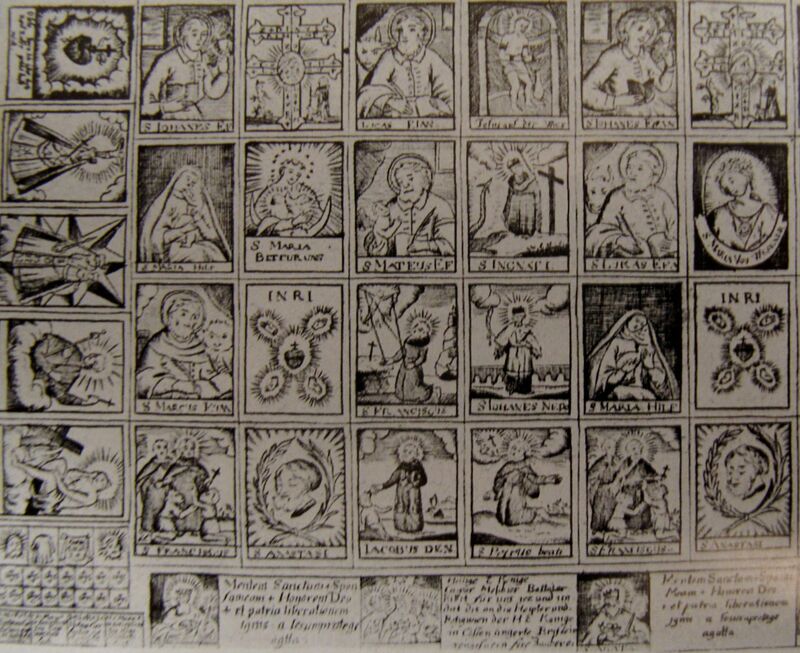 This paper also aims to translate the images and symbols using emblem books, herbals, hagiographies, and popular printed image books, tracing images where possible to their printing presses and artists. The texts also need translation, as most inscriptions are in Latin. My primary research will focus on three collections of Breverl: those of Beromünster’s Haus zum Dolder Museum, the Diözesanmuseum Freising, and the The Hildburgh Collection of Austrian and Bavarian Amulets in the Wellcome Historical Medical Museum in London. In addition, I will study the German oeuvre of Franciscan Capuchin Martin von Cochem, the Latin text “Libellus Benedictionum et Exorcismorum” by Bernhard Sannig and anonymous 17th century texts from the Altomunster Monastery. Secondary research will involve interviews with both Dr. Kürzeder, author of Als die Dinge Heilig Waren, and Roland Halbritter, author of two of the Breverl articles. My research will bring me to Vienna in early April 2014, thanks to the Dr. Sue Holman travel grant from Oxford University’s History of Art Department. Previous Post when will the sugar rise boiling against me?